The primary purpose of the Fund shall be to provide financial support for charitable purpose to a student at Timber Creek High School in Erial, New Jersey pursuing post-secondary education and other charitable causes. 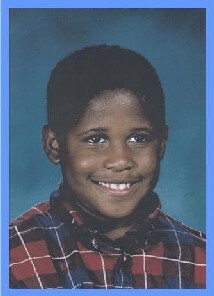 William Vincent was born on May 26, 1991 to his loving parents, Jay and Augusta. A child full of life and vigor, he was blessed with an unforgettably heart warming smile. William won the hearts of all who met him because of his exceptional character. William always strived to do more and wished to live life to the fullest. It was in the summer of 2002 when William’s life changed forever. He was diagnosed with a rare form of lupus, which resulted in many lengthy hospitalizations. Despite being hospitalized numerous times, William remained steadfast in his perseverance and determination to fight back. Through all of this, William continued his academics- something very important to him. He portrayed strength and courage and up-held a positive, unwavering spirit. William’s strong faith helped him to hold onto his drive to succeed and his will to live. A hospitalization during the summer of 2006 resulted in a grim prognosis for his type of lupus, but never once did William lose faith or complain. He always believed he would get better. His painful stay was not without his desire to be pleasant and touch everyone with his warm smile and kind heart. Through it all William kept his sense of humor and his unmatched wit. In doing so, he gave hope to those around him. William truly brought sunshine into the lives of those who could not see the light. William lost his battle on March 2, 2007. He passed while still expressing his love of family, friends and most of all, his love of the life which was taken from him. His faith, dignity and ability to positively inspire all those around him will always be remembered. Those who he left behind will remember William’s remarkable character, radiant smile and his desire to always strive to better himself and the lives of those around him. We will always remember William’s Wish. The Vincent Family has created William’s Wish to ensure his legacy lives on.